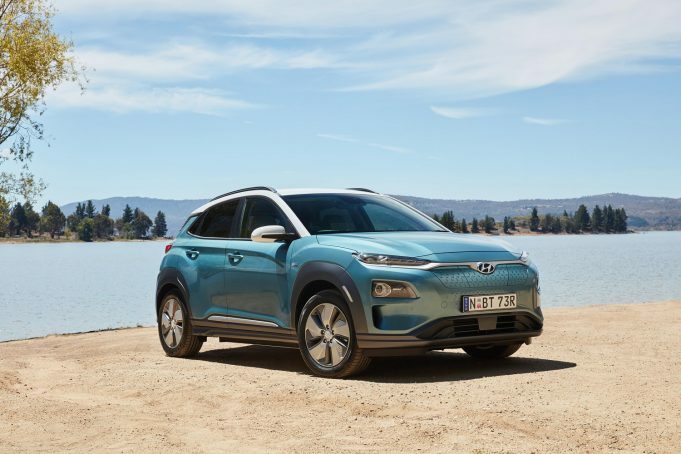 KOREAN car making giant Hyundai continues its foray into full electric vehicles, with the launch of the 2019 Hyundai Kona Electric; a sporty and practical small SUV, with a long range and short charge time. Now available in Australia, the Kona Electric has a real-world battery range of 449km and can be charged to 80 per cent in 54 minutes, thanks to ultra-fast 100kW DC charging, and can also be charged via a normal household socket. It produces a near-instantaneous 395Nm from its electric motor, providing effortless and surprisingly sporty performance, with a 7.6-second 0-100km/h, and is offered in Elite and Highlander model grades. In addition to its eco-friendly drive train, Hyundai’s new EV comes with the SmartSense safety package as standard; including forward collision warning and avoidance, smart cruise control with stop/go and driver attention warning. There’s also lane keep assist, blind spot monitoring and rear cross traffic alert. Controlling all the fun stuff is a standard 8.0-inch satellite navigation multimedia system, with Apple CarPlay and Android Auto. You’ll also load up with full Bluetooth, an 8-speaker Infinity premium audio system, incorporating a sub-woofer and external amplifier, and DAB+ digital radio. The Highlander variant gets a bunch of extras too. Bonus bits include a glass sunroof, wireless phone charging, power-operated heated/ventilated front seats, a heated steering wheel, front park assist, a head-up display and high beam assist, and LED headlights and tail lights. The Kona Electric is built around an immensely safe and rigid monocoque featuring the extensive use of high strength and ultra-high strength steel and produced using advanced manufacturing techniques. It benefits from a local chassis tune developed across a variety of uniquely challenging Australian urban and country roads, to deliver a quiet and comfortable ride to match the smooth electric drive train. Unique styling elements differentiate the Kona Electric from the fuel-powered version, including a closed front grille design featuring an Intaglio pattern, unique wave-patterned rear bumper, redesigned rear lower lights and aero-styled 17-inch alloy wheels. “It is Hyundai’s intention to establish leadership for eco cars in Australia. We have demonstrated that with IONIQ and now Kona Electric, with the NEXO hydrogen-powered SUV to follow once suitable infrastructure is developed,” Hyundai Australia CEO JW Lee said. A palette of six exterior paint colours, the no-cost option of a contrasting roof tone for Highlander versions, and a choice of two leather-appointed interior trims gives Kona Electric customisable possibilities too. It’s priced at $59,990 plus on-roads.